I was cruising twitter one day and say Calypso say they wanted bloggers. I've seen their shop totes around and tried to win a set of them since the first time I saw them. I've only heard good things about them. Of course I answered the call. When I came home from vacation a week or so later I had a little package with an "Acts of Kindness" be kind to the air tote in yellow. I'm impressed. The design is lovely. The whole set is one of my two favorite sets they sell. The bag is lightweight, large enough to carry, like, a big old watermelon, and the fold up into a very compact space. There are little buttons so you can fasten it together once you have folded it all up. This bag would have been great last week at the beach. I'm sure it will be great at the grocery store, the mall, and everywhere else. I love how, if you get the set of three, you also get a carrying case. There are new bags coming soon to take you through the holidays from Halloween to Christmas. They would make great presentation bags. Buy someone pillows, towels, blankets, sheets, cases of Pepsi, mass quantities of brownies, and use the tote as the wrapping. I would be delighted to receive a shop tote full of assorted baked goods. For anyone who could benefit from an occasional care package you could fill it full of stuff and give them a reusable bag, too! Whether you are shopping at the mall or going to the grocery store, these stylish and well made bags will make your trip easier. They have jewelry, too. One of my all time favorite designers, April Cornell, has designed some jewelry for them. I wish she would design a set of their lightweight totes, but she says that isn't in the works at this time. I'll just keep wishing. Kathy Hatch, a new name to me, also has some really cute jewelry pieces. The jewelry on this site is all recession-priced, too. 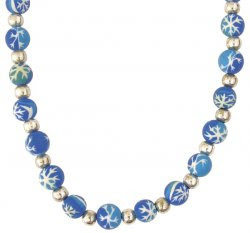 <--Here's one of my favorites, snowflake necklace, for $15. 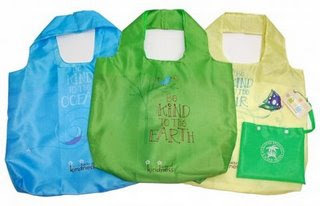 One lucky reader will win a tote and a piece of jewelry. Visit The Calypso Studios website, and tell me your favorite item. Following Calypso Studios on Twitter. Hi my favorite is the set of "Flower Power" totes. I'm following Calypso on Twitter! My favorite is the totes,the Safari" by Robin Roderick and I also love the winter and holiday line ,so cute! Oh I love the Amber Harvest sundance necklace, so pretty! I like Apache Peach Sundance Earring. I love the arabian nights necklaces especially the purple one! I like the Forever Bracelet!